What many people may not know is, smartwatches have been a thing for quite some time now, but the mainstream spotlight was only shone on them more recently once titan companies like Apple & Samsung (most notably) started working on them. The concept of smartwatches & all the features they bring to the table has attracted a lot of people, clearly, enough people for all the biggest tech companies to invest in them. This has allowed the manufacturers to push better and better smartwatches into the market, allowing their consumers to have a sense of choice when it comes to finding the right product that caters to all their needs from a wearable device. But, which smartwatch best suits you? Well, since the market at this point is filled with smartwatches of all sorts, we took it on ourselves to take a look at the finest smartwatches you can buy, after doing our research with respect to their design, features, quality etc., which allows for each consumer to purchase whatever smartwatch meets their needs, tastes, & even budget. If you’re in the market for a smartwatch that is not only affordable but also solid in terms of quality, then the S928 is one of your best options, if not the best. Featuring a monochromatic display, the watch is rather simple in design, display & resolution. This isn’t always a bad thing, smartwatches are, at their core, all about simplicity, which is something the S928 nails. A Heart Rate Monitor that provides users with real-time heart rate updates. GPS: the watch comes with a built-in 3D accelerometer, as well as a built-in gyroscope3D. This enables users to track their movement while exercising or navigating through the city. Outdoor Data: the watch can also keep a record of outdoor data; so you’re constantly updated on the weather conditions in real time, as well as further predictions. These are some of the highlights in terms of features, it’s important to note that, while this might not seem like a lot, these features work throughout the entire ecosystem of the watch, enabling these sensors to take full control of the situation into their own hands. The smartwatch & all its features can be fully controlled through an app that’s available on both iOS, as well as Android. Although the app could use some work, for example, it only supports English as a language (even though the watch supports 12 different languages), & is for the most part quite basic, it’s still an asset of sorts. Plus, the app is being constantly updated by developers, so a lot of its shortcoming may not be an issue for long. So in conclusion, the S928 can be described best as decent. It doesn’t do more than it needs to; is stripped down the bare essentials, is inexpensive, & can definitely hold its own weight amongst competitors. It’s a solid choice if you need all the things mentioned above, & nothing more. Most companies approach smartwatches with a very innovative approach, trying to make the next big thing, which is admirable, but that’s not what Pebble is doing here with this smartwatch. They’ve made a product that is really simple & inexpensive, while also retaining quality. The design of the watch, as well as its packaging, have a very minimalist approach. You have two different options in terms of watch straps, either rubber or steel. Both look great for their price. The watch comes with a reflective colour display that looks decent enough, nothing near high-quality retina displays, though. The watch is also water resistance, which is a feature that provides great convenience. The battery life on the watch is great, which is something you really need in a device that you use from the moment you get up, to the moment you sleep. Another great feature of the watch is the storage space, which allows users to download anything onto the watch, so long as it’s compatible with the watch’s OS. This includes apps, a majority of which are free, music, even pictures. The watch also supports a vast variety of watch faces, you can wear the watch with a new face every day of the week, & customise it to fit your outfit of the day. One downside to the Pebble Time Smartwatch, however, is that some of the apps, for example, the app used for fitness tracking, seem very unpolished, in performance, as well as visually. The display itself also gets really dim under broad daylight, making it hard to read. Also, another thing to note is that, yes, although there are tons of options as far as apps & watch faces go, they aren’t always the greatest, sometimes, they can prove to be rather lacklustre. Lastly, & this is probably the biggest downside to the watch, is the lack of a touch screen, for reasons quite obvious, in this day & age. 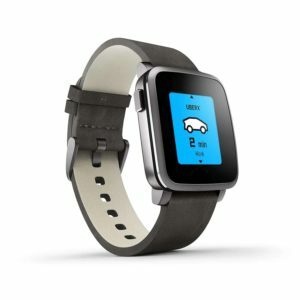 To conclude, we can definitely assure you that the Pebble Time Smartwatch is a great option if you’re looking for a smartwatch that is under $100, comes with some great features, & boasts variety in different styles you can wear it in (different watch faces). If all this is what you’re looking for, then the downsides will prove to be barely noticeable. The Gear S3 is a fan-favourite, & rightfully so. Samsung’s Gear series has held the throne in terms of smartwatches for years now. This is due to a combination of great marketing, & even greater products. The Gear S3, which came out last year, brings back everything that we loved & that was good with the S2, & focuses on adding even more. For starters, the build quality; premium. It looks & feels incredible, & does a great job of blending classic silhouettes with more modern details. This is a watch that will work with your best suit, just as well as it will with your gym outfit. 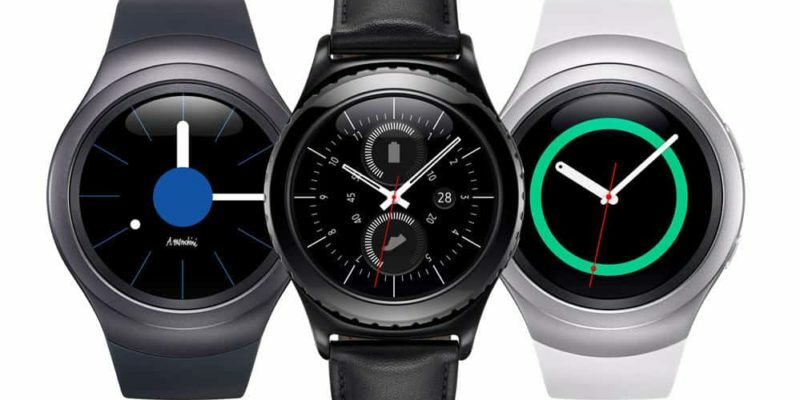 One of the things that separate the Gear S3 from other smartwatches the most is that it doesn’t run on Android Wear, but rather, it runs on Samsung’s own OS, known as Tizen. It is a promising OS that runs smooth, looks really good; featuring a gorgeous always-on display, & does what it’s supposed to. The lack of apps, however, may turn some people off, but it’s not farfetched to assume Samsung will work on improving this. The Gear S3 features an interface that is really intuitive & responsive, & comes packed with a variety of activity trackers, so from all you’ve been told just now, alone, it’s easy to see that this is one of the best smartwatches out, but it doesn’t have a couple of problems worth noting. One of those problems has already been pointed out; a lack of apps, the other problem, although subjective, is also worth noting because it could be a defining factor regarding whether you buy this watch or not – the watch face may be too big for some people. If you have the combination of having skinny wrists & not liking big watch faces, then this will be a problem for you. If not, well, then you now have a solid option in terms of what smartwatch to buy. Even now, the original Moto 360 smartwatch is a fan-favourite. This shows Motorola’s capabilities when it comes to making a great smartwatch. 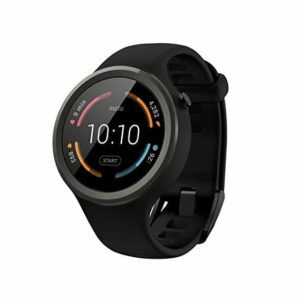 The Moto 360 Sport, however, is their attempt at making a smartwatch that caters to people who work out, run, play a sport… you get it. The original Moto 360 features a minimalistic design that fans have fallen in love with. The Moto 360 Sport pays homage to that perfectly; maintaining that the core principles of that design, while adding slight tweaks & updates to cater to the ‘Sport’ theme. While we’re on the topic of the Sports theme, it’s worth noting that with this smartwatch, Motorola has come up with such a design that does cater to athletes & active people in general but isn’t bound to them. You can easily wear this watch with a regular outfit without it seems ‘out of place’. You also don’t really need to play many sports at all for this watch (& it’s features) to assist you & be of actual benefit. Speaking of features, the watch has a ton; sensors & trackers of all sorts, a heart-rate monitor, & much more. The watch has a beautiful display, that features something Motorola calls ‘AnyLight Display’. Now, when you, the user, is looking at the screen under normal light, it’ll appear as nothing more than a standard LCD screen, but the magic actually occurs when the watch is idle, or direct light hits the watch face, because then, the screen turns itself into a transreflective display, which allows the user to read the time with ease, while also preserving battery life. Now, the watch, all in all, is great, but it does have its downsides. The battery life, for one, isn’t the greatest. Typically, these smartwatches have enough battery life in them to last you a couple days. Such is not the case with the Moto 360 Sport, the battery of this thing will last you about a day or so, at most. Another problem with it is that, despite being a watch that caters to more active users, it doesn’t allow you to do multi-sport tracking, which is strange considering that, again, it’s a sports smartwatch. However, if you can look past these problems, then the Moto 360 is still a great smartwatch, a solid option for active users, & a great option for non-active users too. Definitely one of the best smartwatches out right now. Xiaomi is one of the best companies out there when it comes to making inexpensive products that still look nothing short of high-end. 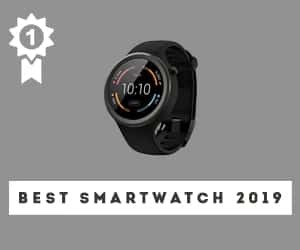 This includes their smartphones, as well as many of their other accessories, one of which is the Amazfit smartwatch, which finds its way onto our list for the best smartwatches. One of the best things about Xiaomi is that, although they’re budget-friendly, they always use really high-end materials & their designs are always clean. The Amazfit is the perfect example of this; the watch features a design that is very simple & classic looking at its core but also features more modern, high tech elements. The display on the watch is really nice, it looks good, is bright in the day time, & features the transreflective display that is becoming quite popular with smartwatches nowadays. Another great thing about the Amazfit is that battery life is good, really good. Once fully charged, it’ll last you around 3-5 days, this is almost unmatched in the smartwatches market. Other great features; Bluetooth, GPS, multiple sensors, multiple fitness trackers. Now, with all these great things about the watch being listed in front of you, it may seem as if it’s just about the perfect smartwatch, but it does have its issues too. For starters, the firmware – not the best, could really use some work – an easy fix, but a problem for now. Another issue is that the apps are very basic, you only get the bare minimum, & not much more. Again, a problem that has an easy fix, but is to be noted, nonetheless. Lastly, it is also worth noting that the fitness activities on the Amazfit are quite limited. All these issues, despite being issues undoubtedly, don’t make or break factors. They won’t completely ruin your experience while using this watch, it’s still a solid smartwatch, one of the bests out, in fact. 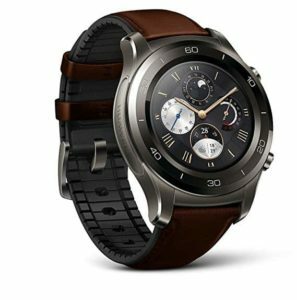 More than any other company, Huawei (seemingly) worked towards making smartwatches relevant & an acceptable piece of tech by blending elements of traditional wristwatches with those of some of the best tech around. Watch 2 is a testament to those efforts, & perfectly captures their vision. The watch runs on Android Wear 2.0, a huge improvement over the original, packing a lot more. It features a ton of sensors, & the fitness & activity tracking is great, anything you want to track, you can, really, anything. 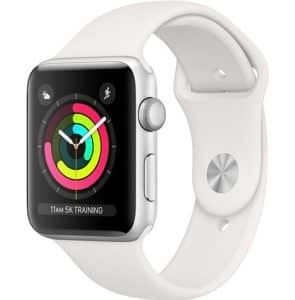 It also features something known as real-time workout guidance, which is great if you’re on the lazier side or just need guidance from the watch, in general. The watch comes with built-in Bluetooth & NFC, this makes Android Pay a dream feature, that pretty much makes carrying cash unnecessary. Another great thing about the watch is that it can last up to 2 days before needing to be recharged. The watch is also super comfortable, you’ll barely feel it on your wrist, & design wise, it gives you a lot of options too, everyone will have something that suits their taste. The only real downside to the watch, & this is also something completely objective, is that the watch face is rather small, with the bezel taking up a lot of space. Some might also say the design is uninspiring, but others will argue the whole concept of the watch is to mix the traditional look of a wristwatch with the high-end tech featured in the best of smartwatches, so again, making any ‘issues’ people have with this watch rather subjective. There isn’t much to say about this watch, it really speaks for itself. It runs smooth, looks great, & its biggest ‘feature; is the lack of problems it gives you, which makes it very reliable, & one of the best smartwatches out, undoubtedly. Although it can be argued that ASUS isn’t doing all that well in other areas of the tech industry such as with their smartphones, the same can’t be said for their smartwatches, which are some of the best out. The ZenWatch 3 is great for many reasons, design-wise it’s great, & their products also typically feature great hardware. You can tell straight off the bat that ASUS with their smartwatches is looking to innovate. They’re not trying to cater to consumers by feeding them what’s easy to consume, what’s popular, or what’s typical. They are, in their designs, & in both their hardware & software, doing something that’s out of the box, something that is going to influence future products in the market, & that is exactly why the ZenWatch 3 is one of the best smartwatches. The displays on the watch are undoubtedly one of the best on the market, it’s big, bright & beautiful, plus the screen is AMOLED. Another great thing about the ZenWatch 3 is the overall build quality. It’s seriously amazing, featuring 316L steel construction, which is basically jewellery level quality. The watch face is covered up by 2.5D Corning Gorilla Glass; just about the best on the market. This makes the screen scratch & scuff resistant. In terms of battery life, well, it’s solid. Once fully charged, it’ll last you a day or two, which is more than can be said for many of the smartwatches people claim to be the ‘best’. 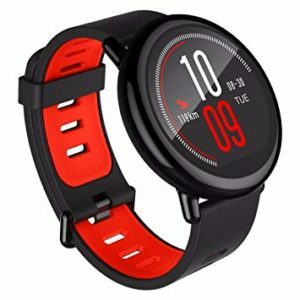 The watch comes with all the basic features that are to be expected; fitness tracking, an array of sensors, etc., although the fitness tracking could be more fleshed out, giving users more to work with. Another issue with the watch is that, well, it has nothing to do with the watch itself, but more specifically the accessories that come with it. They lack quality in terms of build (like the charging dock, for example), which is quite surprising considering the fact that ASUS is known for making products with great build & quality. Nonetheless, The ZenWatch 3 still remains one of the best smartwatches on the market. Where it lacks in its fitness tracking capabilities or the quality & build of accessories, it makes up for in its innovative designs, great build (of the watch itself), & great battery life. 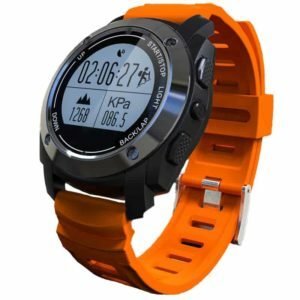 People know Garmin for their brilliant GPS technology, so it’s not unreasonable to expect great innovation in this watch when it comes to its GPS feature. They certainly delivered, too, you can tell right off the bat, this is a great product. Fenix 3 is a monster, honestly. It has just about any & all features you would come to expect/want from a smartwatch, it has a really strong build too, & the display is really bright & beautiful. The watch also comes with two different options for wrist bands, either a rubber one or a metal one, both of which can be put through the wringer & still look great. Another highlight of the watch is battery life; it really is unrivalled. The battery, once fully charged, will last you at least the better part of a week. No, you didn’t read that wrong. Yes, you won’t get that much out of any other smartwatch. Make what you will of that, we think it makes this one of your top options. Although this shouldn’t come as much of a surprise, one of the best features of the watch is its GPS technology. Again, it’s to be expected, but it’s still great to see that the company is incorporating its strong suit into a product that strays away from the typical for them, rather than forgetting about it. The watch is also water resistant up to 100 meters, making it the best in the market, in terms of water resistance. The Fenix 3 features its own OS, its own app store, so it has its own identity that enables it to stand out amongst competitors. There are a couple problems with the Fenix 3, but in all honesty, they’re very nit-picky. For example, some people might say the watch face is too small. Some people also might find it annoying that the watch doesn’t have an activity tracker for golf, & doesn’t support on-watch maps, but that’s about it. Everything else about this watch is top of the line, being a product that stands out & that will innovate many smartwatches to come. Fenix 3 is one of your top options without a shadow of a doubt. You probably haven’t heard of KingWear, they’re not exactly widely known, but they’re a Chinese company & their smartwatch, the KW88 is actually rather intriguing. We’d say it might even be the best smartwatch on the market that is under $100. That in no way indicates that this watch is anything over the top, it’s pretty standard for the most part, but we see that as a positive. Rather than trying to do too much (more than it can handle), the watch focuses on the basics & does them nicely. Well, aside from the weird little camera on the side, & the fact that it doesn’t run Android Wear, but an entirely modified version of Android itself. The features that come with the watch are basic but well done. You won’t really face any problems while using them, the trackers work really smooth, the entire operation as a whole is just great. 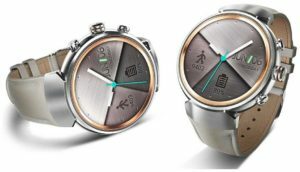 The watch uses a 1.3 AMOLED screen, this great brightness, nice colours, just all-around pretty to look at the screen. It also comes with Bluetooth, Wi-Fi, & even cellular options, which are always nice to have. The watch also has 4.4GB of onboard storage, which is solid. Now, this is where the main problem arises, the watch features a quad-core MediaTek processor, & honestly, it’s a bit of an overkill. Mainly because when you incorporate a processor that powerful, with a device this small, it drains the life out of the battery really quick, & that’s the thing, the battery life on the KW88 is really quite bad. Once fully charged, the watch will, at most, last you 8 hours. That’s nothing. What’s even more unfortunate is that no updates or patches will ever fix this, you can only hope they improve this with the next model. So, to conclude, although the battery life may be a huge deal breaker for most people, if that’s something you can look past, then this is still a solid option, especially if you’re on a budget. The thing about the Apple Watches is that they’re just like all of Apple’s other products, in that, they weren’t the first to do it, but they were the ones to, in the opinion of many people, do it right, & do it in a way that is simple yet unique, innovative, & top of the line. Apple has a consistency that is unrivalled, & they keep the streak alive with this product. In terms of design, the Series 3 stays consistent with previous models, but everything on the inside is updated & the best of the best. The unboxing experience is again, the same as all Apple products, but it’s an experience that simply never gets old. That’s what’s so great about the Apple Watch, it stands out from all the other smartwatches but stays in line with all their other products, & features that Apple signature. The Apple Watch Series 3 features a gorgeous OLED display. It is bright, vibrant, & simply beautiful. All the colours & designs work so well & are greatly complimented by the retina display. But that’s not the only good thing about the Series 3 (obviously). It terms in fitness tracking, the Series 3 undoubtedly holds the throne, it has so many different fitness tracking features & sensors that it’s honestly hard to run out of. 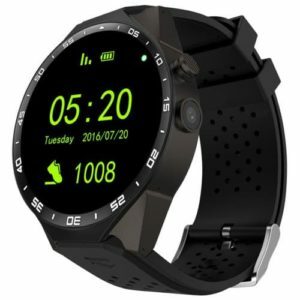 The watch also comes with a GPS system that is easy to use & will assist you greatly. The latest OS for Apple Watches is the Watch OS4, & it runs really smoothly on the Series 3. 42mm Hermès (Noir Gala Leather Single Tour Rallye, Indigo Swift Leather Single Tour, Fauve Barenia Leather Single Tour, Ébène Barenia Leather Single Tour Deployment Buckle, Fauve Barenia Leather Single Tour Deployment Buckle). So to conclude, we’ll say that it is well known across the world that Apple is a brand that is known for & that focuses on one thing above all – performance. You’ll notice that unlike the products of most other brands, people will still use Apple products (happily) well after their release. This is because Apple makes sure to make products that have long-lasting performance, & this is an area where Series 3 certainly doesn’t fall short. It is a product that, sure, while it may be expensive, it is also top of the line, it really doesn’t get much better than this, so take that into consideration while deciding what to purchase. Smartwatches aren’t in anyway the hardest things to get the hang of, their features are easy to grasp, but each one varies from the other in at least some type of way, whether it be the list of features, the watch’s compatibility with other tech etc., & this is something that is worth noting. Not just that, but different smartwatches use different operating systems, too. Android Wear is what’s most commonly used, this is the OS found in smartwatches made by Huawei, LG, ASUS, Samsung, & a couple others, while the watchOS is made for the Apple Watch exclusively. Many other companies might try their hand at their own OS, & typically fall short in one way or the other, so this is worth noting too. It’s just important to keep all these things in mind when buying a smartwatch, so you buy one that matches your budget, as well as your needs & tastes. Since their inception, voice commands have come a long way; in the way they operate, in terms of how much of an actual help they are, & whether or not they’re actually of assistance besides when you need to make a laughing stock out of something. This is due to innovations by brands like Apple & their personal AI assistant Siri, most notably. When used right, these commands can be extremely helpful. Whether you need to open up a text, an app, or you need some other contextual information from within a certain app, you can achieve all these things just by asking your watch nicely. Whether you choose to use this feature or not is entirely up to you, but we believe it’s worth a shot to test it out & see its capabilities because it just might prove to be a highlight. Although this feature may be looked by certain users, particularly those who aren’t much into music, we think it’s almost essential at this point. Most smartwatches in this day & age come equipped with Wi-Fi &/or cellular data capabilities, which means that you can connect your device to the internet & stream your favourite music. 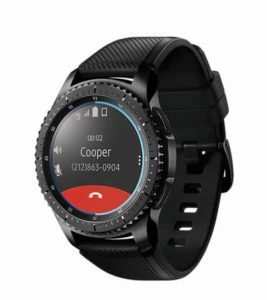 These watches also typically come with Bluetooth &/or NFC, so you can easily connect your wireless headphones too for wire & hassle free listening experience while you jog, work out, etc. Just remember that this isn’t a feature that every smartwatch has. So if you’re looking to utilise media playback, make sure the smartwatch you choose to purchase has Wi-Fi, cellular data, & Bluetooth capabilities (if you want to use wireless headphones). Another feature that you should definitely look for in a smartwatch is an array of different sensors. This means heartbeat sensors, and other similar ones too that can detect & record vitals, & just all-round give you useful information. For people who like to work out a lot, having a heartbeat sensor is great because it can give them information about their beats per minute. Other sensors inform the user about the calories burned, steps taken, or the best workout regime it can come up with. All in all, sensors can prove to be really important in a smartwatch, especially if you’re someone who works out or plays a sport. Yes, you may have to pay more for the best possible sensors, but ultimately, it’s worth it. Customisation is something that is loved by consumers, & rightfully so as it is only natural to want to have the ability to customize your devices, in this case, your smartwatch, to some extent. Nothing much, but just enough to where your device feels like your device alone, & is, in a way, a reflection of your own personality & tastes. This is why customisation capabilities such as the ability to change watch faces & use 3rd party ones that are created by talented developers and designers are something that is really important. You cannot expect a person to stay with the standard watch face for the entirety of his/her time with the watch. Eventually, consumers are going to want a change, & if they can’t afford a change in the model, they should at least be able to afford a change in style. Just like when you put a case or a skin on a smartphone to change its appearance to an extent, you can change the straps & watch faces on the smartwatches to make them look different, and potentially offer more comfort as well. Although you typically only get the choice between rubber, leather, or steel straps, the good thing is that there are multiple colour options. If you’re in the market for a smartwatch, make sure it has the feature to change straps & watch faces, allowing you to customize your watch in the way you want it, & create something that is truly unique & authentic to you & your tastes. Even if you’re not buying a watch for fitness tracking, at least buy one that has the fitness trackers built into it. 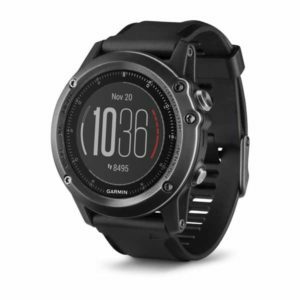 There are several watches from companies like Garmin that come with some amazing fitness tracking capabilities. Although yes, you do have to pay premium for these trackers, it’s still well worth it, especially if you think you work out enough to where you need to keep a track on all your activities & make sure that you are on the right track, in which case having a watch with fitness tracker is a must. To a traditionalist, smartwatches seem useless. To the many people who aren’t of that opinion, they still might seem like less than an actual analogue wrist watch. What we hope to do with our list, besides providing you with an easy to access rundown of the best options, is to have you become more open-minded when it comes to smartwatches, & realizes that they actually are of some use. I think they can best escape controversy once it is realised by smartwatch lovers, as well as those who don’t like them, that they aren’t made with the purpose of replacing traditional analogue watches. Those are timeless pieces that can’t be rivalled. Smartwatches are simply purposed to assist those who need/desire the use of their features, & when done right, this can result in the creation of some really solid tech & wrist wear.